In Harmony, you can add effects by selecting the layer or group you wish to add an effect to, then adding the effect through the Timeline view's Add Layers menu. Then, you can achieve the intended effect by adjusting its parameters in the Layers Properties view, and connecting it to a matte layer if applicable. In the Camera view, click the Render View button to see the scene's rendered current frame and effect. NOTEBy default, your background will appear pitch black. To remedy this, you can add a Colour Card layer at the bottom of your layers list, and tweak its colour in the Layer Properties view. In the Layer Properties view, adjust the effect’s parameters as needed. NOTEEach time you make a change, the Camera view will need to refresh the rendered image, which may cause a little delay before you can observe its effect. Most effects will not play back in real time in Harmony. To play back your scene with the final effects, in the Playback toolbar, click the Render and Play button in the Timeline view toolbar. NOTEOnce you have set the parameters for the effect, you can store it in the Library view as a template, so you can quickly reuse it without resetting the parameters again—see About Templates. The Cutter effect cuts out a portion of an image. To do this, it needs to be connected to the drawing it is intended to cut as well as to a matte layer. The cutter will take the shape of the drawing in the matte layer and cut this shape out of the drawing layer. This is especially useful if you want to make a character disappear between a background element, or if you want to cut out a hole in the middle of a character. 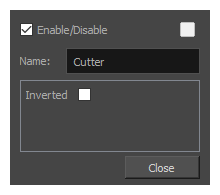 Like all effects that use a matte, the Cutter's effect has an Inverted parameter, which is disabled by default. When enabled, the Cutter will have the reverse effect: Instead of cutting the matte's shape out of the drawing, it will cut everything outside of the matte's shape out of the drawing, leaving only the parts of the drawing that are covered by the matte. This can be useful if, for example, you want to draw shadows or highlights for a character, but you don't want to have to worry about them bleeding beyond your character's outline. You can simply connect your shadow or highlight to an inverted cutter, and use a clone of your character as the matte, and your effect will not display outside of your character's outlines. You may need to animate some effects to obtain the expected results. 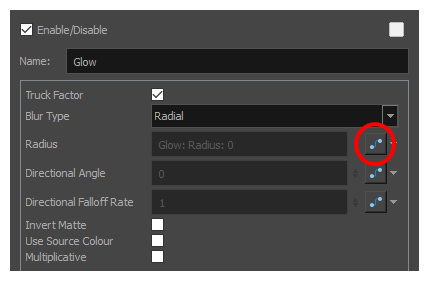 For example, you may want the radius of a Glow effect to slowly increase and decrease to make it pulsate throughout a scene, or you may want the transparency of a Transparency effect to increase from 0% to 100% to make a drawing vanish. Almost all numerical parameters in an effect can be attached to a function. A function allows you to set a parameter to different values at different points in the scene by adding keyframes to it, and setting each keyframes to a specific value. Between keyframes, the value of the parameter will progress from the value of the previous keyframe to the value of the next keyframe. 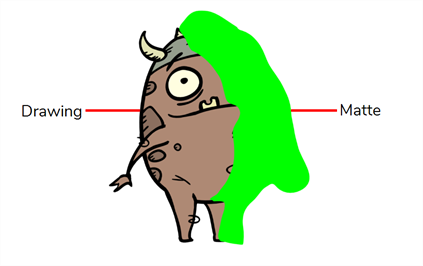 Drawing layers are animated by having their coordinates associated to functions. Likewise, effects can be animated by associating their parameters to functions. Some effect parameters can be animated directly in the Timeline view, but not all. When you expand an effect's parameters in the Timeline view, some of its parameters may be hidden to avoid cluttering the Timeline view. You can animate those parameters from the Layer Properties view or the Layer Properties dialog, which display all of a layer's parameters. NOTETo learn how to preview animated effects, refer to About Effects Preview. In the Timeline view, locate the effect you want to animate, and click on the Expand button right of its name. The list of parameters that effect's paramaters that are available in the Timeline view appears. In the right area of the Timeline view, in the same row as the parameter you want to animate, select the frame where you want to create the first animation keyframe for the effect. Click and hold on the value of the parameter, then drag it towards the left to reduce its value, or towards the right to increase its value. 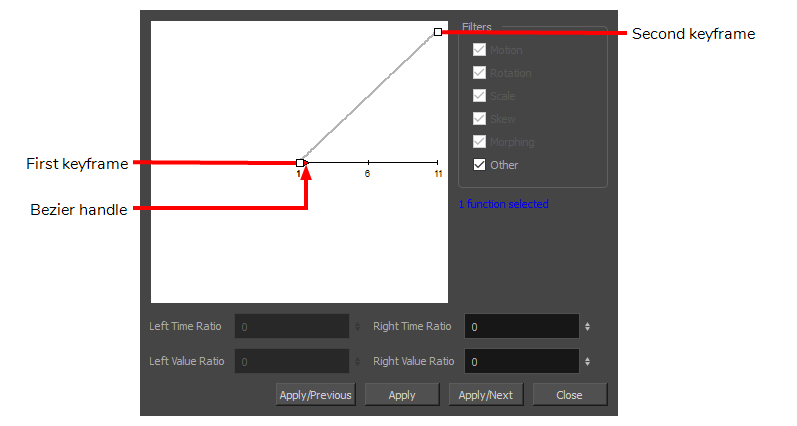 Click on the value of the parameter. A text field will appear. Type in the new value of the parameter, then press Enter. In the right area of the Timeline view, click on the frame where you want to create the second animation keyframe for the effect. 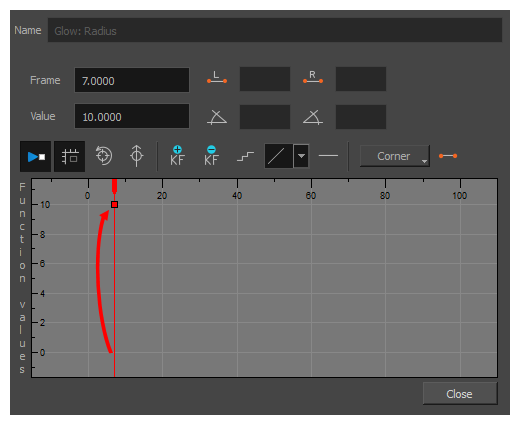 In the Parameters column, adjust the value of the parameter at the current keyframe. Repeat the steps to create as many animation keyframe for your effect as needed. To adjust the timing between the keyframes of your animation, select the first keyframe. In the Timeline toolbar, click on the Set Ease for Multiple Parameters button. The Set Ease for Multiple Parameters dialog appear. The function graph in this dialog will be focused on the first keyframe in your animation, which should have a Bezier handle right next to it, pointing to the right. 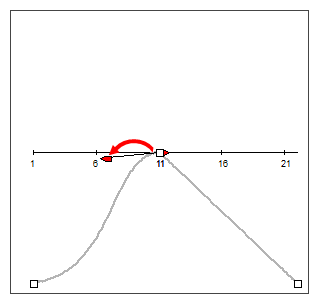 Click on the Bezier handle and drag it towards the right, at any angle, to adjust the ease-in of the animation. The Set Ease for Multiple Parameters dialog will focus on the second keyframe. If this is the last keyframe in the animation, it will only have one Bezier handle, pointing towards the left. 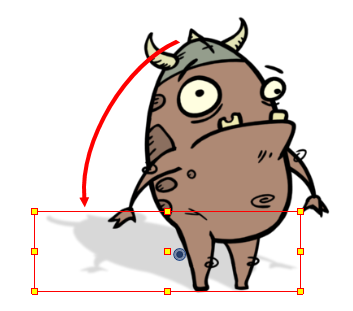 If there are more animation keyframes after this one, it will have two Bezier handles, one pointing in each direction. 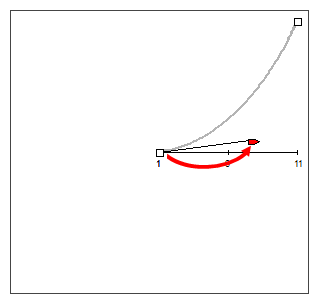 Click on the left Bezier handle and drag it towards the left, at any angle, to adjust the ease-out of the animation between the previous keyframe and the current keyframe. If there is a Bezier handle pointing towards the right , click on it and drag it towards the right, at any angle, to adjust the ease-in of the animation between the current keyframe and the next keyframe. 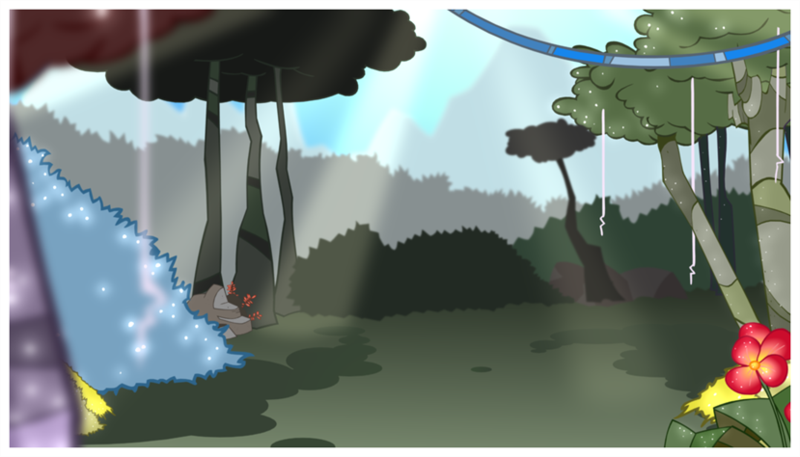 Repeat the previous steps until the timing for your animation is adjusted throughout the entire scene. Add the Layer Properties view to your workspace, then select the effect in the Timeline view. In the Timeline view, double-click on the effect layer, but not on its name. 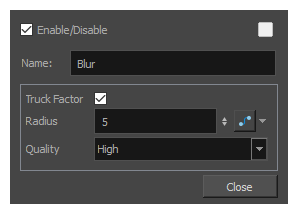 In the effect's layer properties, locate the parameter that you want to animate and click on the Function button to its right. Click on the parameter's Function button again. 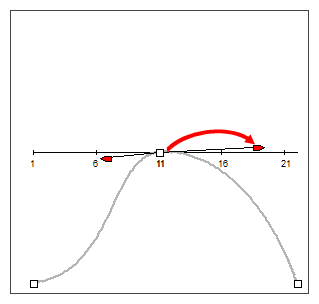 The Bezier Editor dialog opens. This dialog will allow you to animate the function. The function graph at the bottom is made to represent the values of the function throughout each frame in the scene. In the function graph, click and drag on the red cursor to move it to the frame where you want to create your first animation keyframe. Click on the Add Keyframe button to create the first animation keyframe for the effect. A keyframe is created and should be visible in the function graph. If you do not see it, that is because the function graph is not positioned to include the keyframe within its frame. To move the function graph to view the function's keyframe, click on the Reset View or Reset View Vertically button. In the Value field over the function graph, type in the desired value for the parameter. 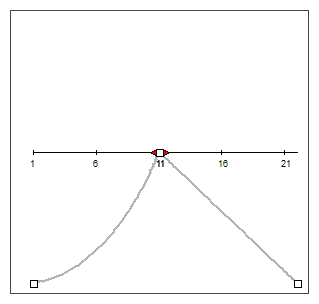 In the function graph, click and drag on the keyframe , and move it up to increase its value, or down to decrease it. TIPIf you want to set the keyframe to a value that is outside of the function graph's frame, you can press the 1 key to zoom out. You can also press the 2 key to zoom back in. Click and drag on the red cursor to move it to the frame where you want to create your second animation keyframe. Click on the Add Keyframe button to create the second animation keyframe for the effect. Click and drag the Bezier handle of the first keyframe towards the right, in any direction, to affect the ease-in of the animation. Click and drag the Bezier handle of the second keyframe towards the left, in any direction, to affect the ease-out of the animation. Repeat these steps until you created and timed every animation keyframe required to animate your effect. The following tutorial demonstrates how to combine Effects with other Harmony functionalities to easily create a drop shadow for an animated character. By following these steps, you can create a drop shadow that will automatically follow your character's animation, even if you change the animation afterward. In the Timeline view, select all the layers making your character's rig. If your character is under a master peg, selecting the master peg will also work. Make sure your character's rig is in a group. If it is not, right-click on your selection, then select Group Selection. Right click on your selection, then select Clone Selected Layers: Drawings and Timing. From the Top menu, select Edit > Clone: Drawings and Timing. NOTEContrary to a duplicate, a cloned layer always has the same timing and exposure as its origin layer, even if its origin layer is changed later. Hence, you can make changes to your character's animation, and your cloned character's animation will automatically update with these changes. Add a Shadow effect to your group by doing one of the following. In the Timeline view's layers toolbar, click on Add Layers and select Effects > Shadow. Right-click on your selection, then select Insert > Effects > Shadow. In the Timeline view, select the root layer of your character's clone. From the Timeline View layers toolbar, click the Add Peg button. Press Ctrl + P (Windows/Linux) or ⌘ + P (macOS). In the Timeline view, select your clone's parent peg. In the Camera view, scale and skew your clone so that it looks like a drop-shadow.